These are CKK designed 4-40 titanium socket head screws. They work great for knife and gun making. Titanium screws help to increase the strength of mechanical assemblies while reducing the weight added by stainless steel fasteners. 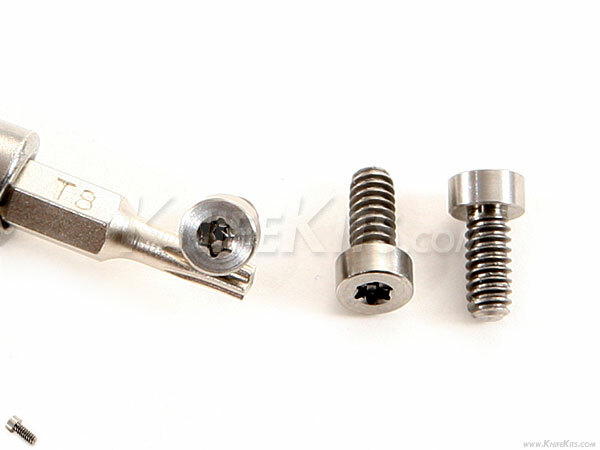 CKK designer titanium screws are made to the highest precision tolerances. They offer superior non-ferrous properties, and can be heat-colored to achieve a fine artistic finish, if desired.